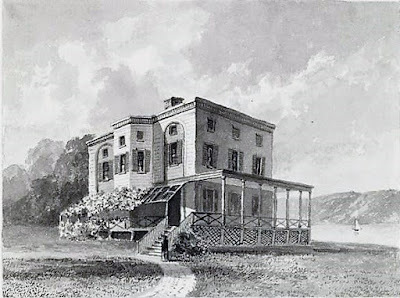 The high knoll known as Strawberry Hill, in Bloomingdale, with its breathtaking views of the Hudson River was part of the extensive land holdings of Dutch farmer Adrian Hooglandt in the 18th century. By the time he sold his vast property to Nicholas de Peyster in 1784 wealthy merchants and military officers were erecting lavish summer estates far north of New York City's crowded and sweltering conditions. De Peyster erected his own summer residence at "114th Street and the river," according to historian Hopper Striker Mott in his 1908 The New York of Yesterday. In 1796 de Peyster sold the Strawberry Hill section, located along the Hudson River bluff around what would become approximately 121st to 127th Streets. It was purchased by Irish linen merchant George Pollock. Born in Dublin, Ireland in 1762, Pollock arrived in New York with two of his brothers, Carlisle and Hugh, shortly after 1780. George partnered with Richard Yates to form Yates & Pollock. 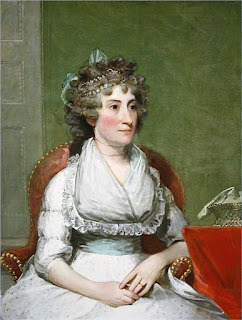 The business relationship became a familial one when George married Yates's daughter, Catherine in Trinity Church on March 17, 1787. In 1792 the couple had a child, St. Clair (sometimes spelled St. Claire), who was baptized in Trinity Church on November 11. 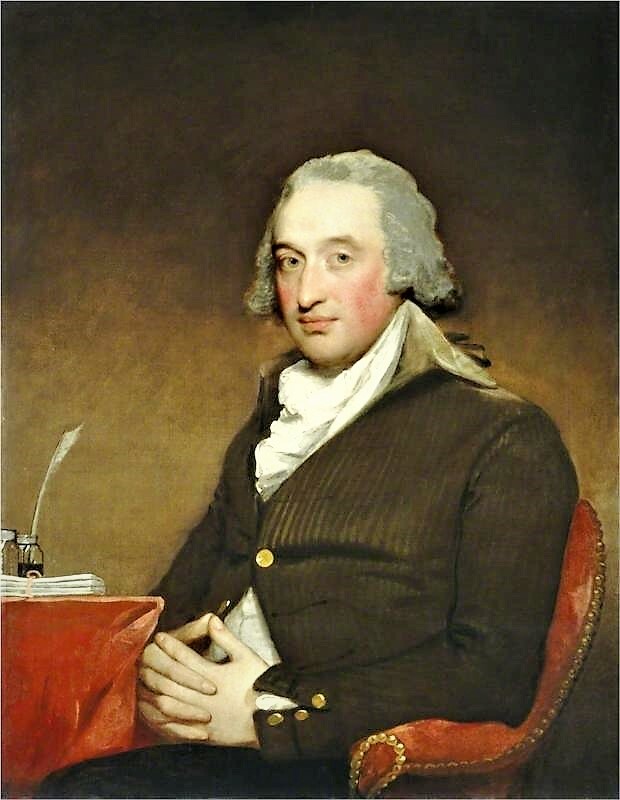 Gilbert Stuart painted portraits of the Pollocks in 1793. Pollock was a respected member of the Chamber of Commerce and Valentine's Manual of 1855 remembered him as one of New York's "wealthiest residents" in 1795. That year he was listed in the New York City Directory as doing business as 11 Whitehall Street. George Pollock erected his summer estate, called Monte Alta, on the Strawberry Hill knoll. But the family would not enjoy the elegant house and the breezy location for many years. On July 15, 1897 little five-year old St. Clair met tragedy. The New-York Tribune described it decades later saying he "in satin breeches, silk hose and starched ruffles, took the air on the banks of the Hudson." The article explained "evading the vigilance of his nurse, the boy ventured too near the edge of the cliff, fell over and was killed." On October 21, 1799 Pollock conveyed Monte Alta to Gulian Verplanck, "excepting the plot 51-1/2 feet wide and 142-12 feet deep, containing the grave of their five year old child," according to New York Legislative Documents. Verplanck died a month later, on November 30 and the property was transferred to his widow, Cornelia. There is a small enclosure near your boundary fence which can be extended to join it, within which lie the remains of a favorite child, covered by a marble monument. I had intended that space as the future cemetery of my family. The surrounding grounds will fall into the hands of I know not who, whose better taste or prejudice might remove the monument and lay the enclosure open. He conveyed the burial lot to Mrs. Verplanck on January 24, 1800, trusting her to maintain his son's grave. Soon afterwards the Pollocks moved to Philadelphia, where Catherine died in 1805. Beginning in 1803 the property changed hands at dizzying speed. It was transferred to John B. Provoost, former City Recorder, who sold it to Joseph Alston the same year. According to Hopper Striker Mott "From Alston the property passed in 1806 to John M. Pintard, subject to a purchase money mortgage, and on sale under foreclosure was bid in by Michael Hogan for $13,000." Hogan's purchase price would equal more than a quarter million dollars today. A famous navigator in his younger years, he was now "one of the most notable figures among the great merchants of his day," according to The Journal of the American Irish Historical Society in 1910. The Journal pointed out "He divided his property, calling the southern portion Monte Alta and the upper part Claremont." The name Claremont most likely paid homage to his native County Clare, Ireland. Historians disagree about Hogan's residence here. Like some, Mott believed he "built the mansion known as 'Claremont'" on the property. But others insist that Hogan "had the house moved to its present location," according to The New York Times later. According to The Times, "Here Hogan lived with an Indian princess, a scandalous matter to the local gossips." Scandal or not, The Journal of the American Irish Historical Society wrote "During Michael Hogan's occupancy of Claremont, as a summer residence it was the scene of some of the most brilliant social festivities in the city." Hogan's glittering entertainments would not last especially long. Financial problems arose and he was essentially wiped out during the War of 1812. He managed to maintain possession of Claremont, however, leasing it to a succession celebrated tenants. In 1809 Lord Courtenay, Earl of Devon, moved in. Wealthy but eccentric, he reportedly lived alone with only two servants--a manservant and a cook. Interestingly, the next tenant was its former owner, Joseph Alston. The future governor of South Carolina was married to Aaron Burr's daughter, Theodosia. Described as "brilliant" and "beautiful," she disappeared along with all passengers aboard the sailing ship Patriot during a storm in January 1813. Hogan leased the house in 1815 to Joseph Bonaparte, ex-king of Spain and brother of Napoleon. He lived here two years. Other celebrated tenants included Viscount Courtenay, later Earl of Devon, who reportedly kept an "almost princely household," and Francis James Jackson, who would become British Minister to the United States. In 1821 Hogan was finally forced to liquidate Claremont, deeding it "for the benefit of creditors." It was sold by trustees to Joel Post, an ancestor of famed architect George B. Post. Joel Post died in 1835, and his sons sold the old mansion. Within the decade the house was converted to a roadhouse known variously as the Claremont Inn or the Claremont Cottage. The vintage house was Victorianized with verandas that girded the lower floors, affording vistas across the lawn and river. 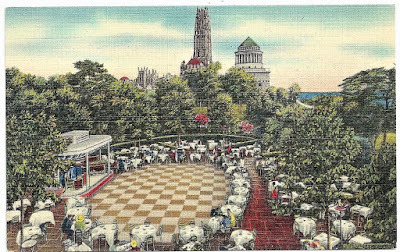 The New York Times later described it as "an inn, one of the most fashionable in New York, where one could sip wine at $40 a bottle while watching the sun set behind the Palisades." The quiet get-away for the well-to-do would change to a popular spot for a somewhat more democratic crowd in the years after the end of the Civil War. In 1866 the State Legislature approved a bill to convert the Riverside precipice into Riverside Park; and in August 1872 the entire parcel that had been George Pollock's summer estate was "taken by condemnation proceedings by the City," as recorded in the New York Legislative Documents. The city leased the inn to a succession of proprietors who continued to operate it as a restaurant and gathering spot. It was a favorite place for luncheons and receptions. On October 18, 1886, for instance, the New-York Tribune noted "J. A. Copleston, press agent for Wilson Barrett, entertained a small party of friends at luncheon at Claremont Cottage on the Riverside Drive, yesterday afternoon." And on May 13, 1892 The New York Times reported "The fourth and last of the Claremont teas took place yesterday afternoon at the Claremont Cafe, at the head of Riverside Drive. In spite of bad weather there was a large attendance of society notables and a good showing of fashionable gowns and turn-outs." Celebrited guests included President McKinley, who had lunch here; and Admiral George Dewey who was guest of honor at a breakfast in 1899 after his victorious return from the Spanish American War. The proprietor in 1912 was R. H. Gushee, who lived with his family in the upper floors. There were about 200 patrons in the inn on the afternoon of July 20 when people sitting on the veranda noticed smoke. Suddenly someone yelled "the prairie's afire!" The New-York Tribune described the approaching blaze as "a genuine prairie fire...with whirling clouds of smoke, the leaping, snakelike flames and all the other trimmings of the real article." Gushee, "seeing that he was in danger of losing all his patrons," sent word to the kitchen for help. The newspaper reported "A moment later the cook, the chef, the underchefs, the bottle-washers and kitchen mechanics poured forth, armed with frying pans, broiling irons, mops and dish rags." While the staff of the Claremont Inn beat the flames with their kitchen implements, the fire department was called. Hoses were laid out along three blocks of Riverside Drive, and the "prairie fire" was finally extinguished before reaching the Inn. Before long Gushee would have to address another threat to his business, Prohibition. When he renewed his $20,500 per year lease he wisely had a clause inserted which "permitted him to abrogate the agreement if prohibition ever became effective." And it did. In July 1918 Gushee's gross bar business had amounted to $10,628, giving him a profit that month of $6,056. The following July he was selling only lemonade and other soft drinks. His gross take fell to $2,400. When the city refused to lower his rent, he opted out of his lease, which was not due to expire until 1924. The city doubtlessly regretted its decision. When it could not fine another proprietor, the rent was reduced to $9,200 from Gushee's $20,500. The new renter, F. R. Wood received "the exclusive right to dispense milk on the premises." "And you and your companion drain a couple of beakers of 100 percent, cow milk and emerge from the Claremont Inn with a new interest in life and a keener zest for the delights of a week end down East." The newspaper longed for the times under Gushee's management when "you could get a misses' size highball for as little as 75 cents and a grilled pork chop for a mere $2." Prohibition ended in 1933, the year before Mayor Fiorello La Guardia took office as mayor. Among his first acts was a remodeling of the Claremont Inn coupled with his insistence that its traditionally high prices become affordable. 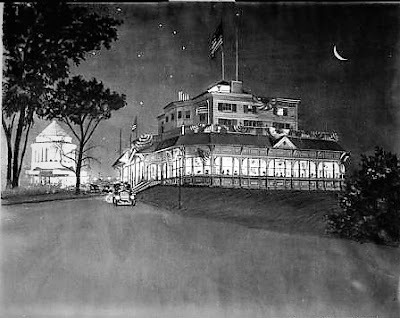 On May 1, 1935 The New York Times reported "The Claremont Inn on Riverside Drive...which Park Commissioner Robert Moses converted last year into a popular-priced restaurant reopened last night to a crowd of about 500 patrons. The weather was too cool to open the outdoor terrace, so Fred Starr and his eleven-piece orchestra played on the new west veranda dance floor." The renovations under Moses and La Guardia coupled the afternoon gathering place with a nightclub. Lunch could be had for $1, "50 cents for tea dancing," and $1.50 for dinner. There was no cover or minimum charge. The restaurant stayed opened until 1 a.m. during the week and 1:30 on Saturday nights. The Times noted "It can accommodate about 350 persons inside and about 1,000 on the terrace." The Columbia Spectator gave the reopened Inn a tepid review, saying "The food is pretty good and the view is grand. Despite the arrival of the industrial revolution in the form of Ford factories and whatnot on the other side, the Hudson is still a pleasant river to look on." It was not the arrival of automobile plants spoiling the view that annoyed neighborhood residents. It was those 1,000 patrons dancing to "an open-air jazz orchestra" in the wee hours of the mornings. 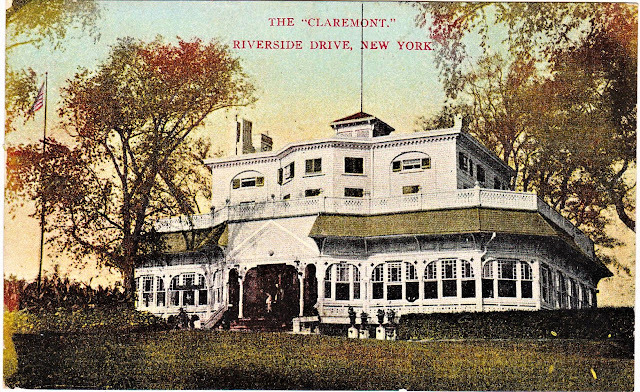 On October 11, 1938 a suit was filed in Supreme Court "to ban the further operation of Claremont Inn at Riverside Drive and 124th Street on the ground that it was a public nuisance interfering with sleep and the peaceful enjoyment of their homes by residents of the surrounding area." A 1930s postcard depicted the outdoor entertainment section, an annoyance to the neighbors. In addition to the Riverside-Claremont Restaurant, Inc. which leased the inn from the Park Department, Robert Moses was personally named in the action. 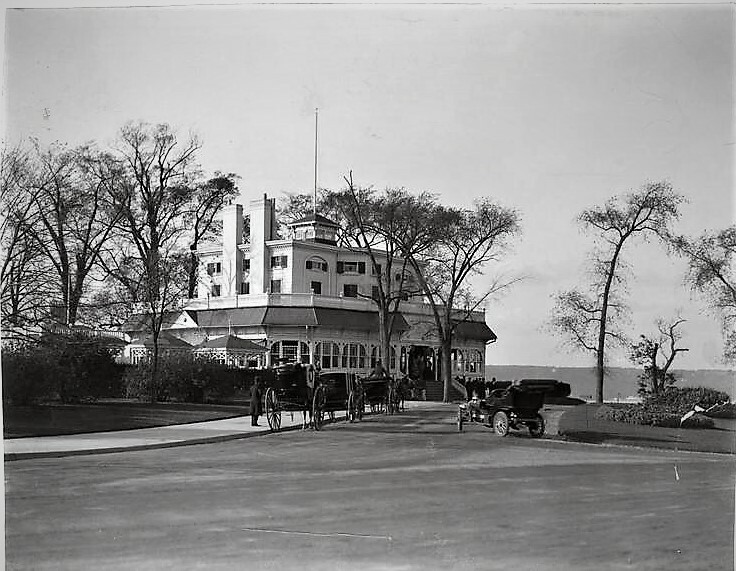 The neighbors listed "laughter, applause and boisterous talk by the patrons of the inn; the clanking of dishes, silverware and garbage cans after the inn is closed for business, and the racing motors and grating gears of motor cars, taxicabs and buses." Justice Samuel Hofstadter imposed a curfew on the inn--11 p.m. on weekdays and midnight on Saturdays. 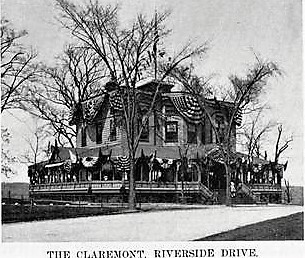 The restrictions ruined business and the Claremont Inn was closed. When it reopened in May 1941, the Park Department's announcement described the former nightclub as "a cafe." That arrangement lasted until about 1947, when the city abandoned hope for the old inn. On July 18, 1949 The Times complained, "That once lovely landmark, Claremont Inn, is boarded up and neglected by the city fathers as it suffers fallen arches and other infirmities of age. On the front door are a heavy chain and lock." The article described chipping paint and grime-covered walls. The crescent shaped drive, "a vestige of carriage days," was in disrepair and the once verdant lawns were weedy and blotched with bare patches. The Parks Department explained that repairing the several building code violations would cost $100,000 or more. To demolish the inn and replace it with an "overlook sitting park" would cost around $80,000. The Times set forth a third possibility--turning over the historic property to a private organization like the American Scenic and Historic Preservation Society to be restored as a museum. Astounding to modern readers, the problem was that "while the Claremont has grace and picturesqueness on its side, it is found wanting for a place in the nation's history." The long list of associations including European nobility, a President, and a military hero was not enough for mid-20th century preservationists. Around 6 a.m. on March 14, 1951 fire broke out in the "rotting" inn, as described by journalist Robert Alden of The Times. Exactly one week later, on March 21, a second fire erupted. There were several theories concerning the causes, but the Columbia Daily Spectator was frank when it reported "many believed [the fire] to have originated at the hands of Parks Commissioner Robert Moses." On the site of the ruins a playground was erected. A plaque placed by the Parks Department in 1952 is all that is left to remind visitors of the historic house. But down the hill, surrounded by an iron fence, is the tomb of little St. Clair Pollock, still maintained by the city as his father had so hoped in 1799. How interesting! I've seen a number of pictures of this place before and knew a tiny bit of the history, but it had never occurred to me that it was so old, which only makes its loss that much sadder.